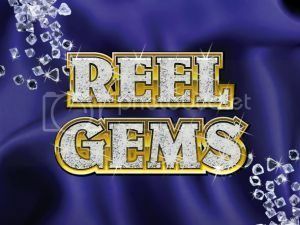 Play Reel Gems: Get 100 FREE! A reel stunner of a game, you’ll come across diamonds, rubies, emeralds, sapphires and all the beautiful gems you could think of in this 243 ways-to-win slot. The glittery Respin Feature allows you to respin one reel as many times as you’d like to help complete a winning line. Enjoy 15 FreeSpins if you spin three or more Diamond Rings, and all wins will be tripled! Play Reel Gems, and the Top 5 Wagerers each day will receive £€$100 into their RewardsAccount. 2. You must have played on Reel Gems to qualify. 1. The promotional time period is between 12.03am GMT 26 September 2015 and Midnight GMT 1 October 2015.2. 5 winners are selected every day for being the top five wagerers during the time period specified in point 1.3. Winners will be notified by email each day.4. Prizes of £€$100 will be credited into players' Casino Rewards Accounts on Friday, 2nd October 2015.5. If this week's featured game is not available in your casino, you may participate in this promotion by playing on Deck the Halls instead.6. You must be playing at a Casino Rewards partner casino during the promotion time frame to be eligible.7. The Casino will not be responsible for telephone, technical, network, online, electronic, computer hardware, or software failures of any kind, misdirected, stolen, incomplete, late, illegible, garbled or delayed Internet computer transmissions on account of technical problems or traffic congestion on the internet or at any website, or any combination thereof or for incomplete, lost, late or misdirected submissions.8. Promotion is valid once per casino account.9. Loyalty Points may not be cashed in, and must be played at a Casino Rewards PartnerCasino.10. Winners agree to have their first name and image used for promotional purposes.11. Wagering requirements apply.12. Player must meet the casino minimum deposit requirements depending on their casinoof choice.13. Gamble responsibly.14. This offer is only available to players not residing in the USA.